While Martin, for example, asserts that agnosticism entails negative atheism, many agnostics see their view as distinct from atheism, which they may consider no more justified than theism or requiring an equal conviction. The assertion of unattainability of knowledge for or against the existence of gods is sometimes seen as an indication that atheism requires a leap of faith. Common atheist responses to this argument include that unproven religious propositions deserve as much disbelief as all other unproven propositions, and that the unprovability of a god's existence does not imply equal probability of either possibility. Australian philosopher J.J.C. Smart even argues that "sometimes a person who is really an atheist may describe herself, even passionately, as an agnostic because of unreasonable generalized philosophical skepticism which would preclude us from saying that we know anything whatever, except perhaps the truths of mathematics and formal logic." Consequently, some atheist authors such as Richard Dawkins prefer distinguishing theist, agnostic and atheist positions along a spectrum of theistic probability—the likelihood that each assigns to the statement "God exists". Other arguments for atheism that can be classified as epistemological or ontological, including ignosticism, assert the meaninglessness or unintelligibility of basic terms such as "God" and statements such as "God is all-powerful." Theological noncognitivism holds that the statement "God exists" does not express a proposition, but is nonsensical or cognitively meaningless. It has been argued both ways as to whether such individuals can be classified into some form of atheism or agnosticism. Philosophers A.J. Ayer and Theodore M. Drange reject both categories, stating that both camps accept "God exists" as a proposition; they instead place noncognitivism in its own category. 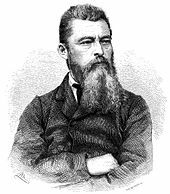 Philosopher Ludwig Feuerbach and psychoanalyst Sigmund Freud have argued that God and other religious beliefs are human inventions, created to fulfill various psychological and emotional wants or needs, or a projection mechanism from the 'Id' omnipotence; for Vladimir Lenin, in 'Materialism and Empirio-criticism', against the Russian Machism, the followers of Ernst Mach, Feuerbach was the final argument against belief in a god. This is also a view of many Buddhists. 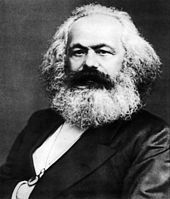 Karl Marx and Friedrich Engels, influenced by the work of Feuerbach, argued that belief in God and religion are social functions, used by those in power to oppress the working class. According to Mikhail Bakunin, "the idea of God implies the abdication of human reason and justice; it is the most decisive negation of human liberty, and necessarily ends in the enslavement of mankind, in theory and practice." He reversed Voltaire's aphorism that if God did not exist, it would be necessary to invent him, writing instead that "if God really existed, it would be necessary to abolish him." 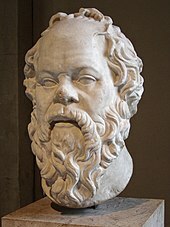 According to Plato's Euthyphro dilemma, the role of the gods in determining right from wrong is either unnecessary or arbitrary. The argument that morality must be derived from God, and cannot exist without a wise creator, has been a persistent feature of political if not so much philosophical debate. Moral precepts such as "murder is wrong" are seen as divine laws, requiring a divine lawmaker and judge. However, many atheists argue that treating morality legalistically involves a false analogy, and that morality does not depend on a lawmaker in the same way that laws do. Friedrich Nietzsche believed in a morality independent of theistic belief, and stated that morality based upon God "has truth only if God is truth—it stands or falls with faith in God.". For Immanuel Kant the reason for adjusting to rules comes in its value as: 'Categorical Imperatives', that contain in itself the reason to be fulfilled. The Greek word αθεοι (atheoi), as it appears in the Epistle to the Ephesians (2:12) on the early 3rd-century Papyrus 46. It is usually translated into English as "[those who are] without God". Logical positivism and scientism paved the way for neopositivism, analytical philosophy, structuralism, and naturalism. Neopositivism and analytical philosophy discarded classical rationalism and metaphysics in favor of strict empiricism and epistemological nominalism. 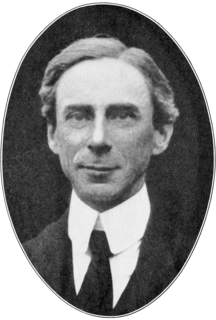 Proponents such as Bertrand Russell emphatically rejected belief in God. In his early work, Ludwig Wittgenstein attempted to separate metaphysical and supernatural language from rational discourse. A.J. Ayer asserted the unverifiability and meaninglessness of religious statements, citing his adherence to the empirical sciences. Relatedly the applied structuralism of Lévi-Strauss sourced religious language to the human subconscious in denying its transcendental meaning. J.N. Findlay and J.J.C. Smart argued that the existence of God is not logically necessary. Naturalists and materialistic monists such as John Dewey considered the natural world to be the basis of everything, denying the existence of God or immortality. Other leaders like Periyar E.V. Ramasamy, a prominent atheist leader of India, fought against Hinduism and Brahmins for discriminating and dividing people in the name of caste and religion. This was highlighted in 1956 when he arranged for the erection of a statue depicting a Hindu god in a humble representation and made antitheistic statements. According to global Win-Gallup International studies, 13% of respondents were "convinced atheists" in 2012, 11% were "convinced atheists" in 2015, and in 2017, 9% were "convinced atheists". As of 2012[update], the top 10 surveyed countries with people who viewed themselves as "convinced atheists" were China (47%), Japan (31%), the Czech Republic (30%), France (29%), South Korea (15%), Germany (15%), Netherlands (14%), Austria (10%), Iceland (10%), Australia (10%), and the Republic of Ireland (10%). There are another four countries or regions where the unaffiliated make up a majority of the population: North Korea (71%), Japan (57%), Hong Kong (56%), and China (52%). In a 2013 census, 42% of New Zealanders reported having no religion, up from 30% in 1991. Men were more likely than women to report no religion. ^ a b c Harvey, Van A. Agnosticism and Atheism, in Flynn 2007, p. 35: "The terms ATHEISM and AGNOSTICISM lend themselves to two different definitions. The first takes the privative a both before the Greek theos (divinity) and gnosis (to know) to mean that atheism is simply the absence of belief in the gods and agnosticism is simply lack of knowledge of some specified subject matter. The second definition takes atheism to mean the explicit denial of the existence of gods and agnosticism as the position of someone who, because the existence of gods is unknowable, suspends judgment regarding them ... The first is the more inclusive and recognizes only two alternatives: Either one believes in the gods or one does not. Consequently, there is no third alternative, as those who call themselves agnostics sometimes claim. Insofar as they lack belief, they are really atheists. Moreover, since absence of belief is the cognitive position in which everyone is born, the burden of proof falls on those who advocate religious belief. The proponents of the second definition, by contrast, regard the first definition as too broad because it includes uninformed children along with aggressive and explicit atheists. Consequently, it is unlikely that the public will adopt it." ^ a b Simon Blackburn, ed. (2008). "atheism". The Oxford Dictionary of Philosophy (2008 ed.). Oxford University Press. Retrieved 21 November 2013. Either the lack of belief that there exists a god, or the belief that there exists none. Sometimes thought itself to be more dogmatic than mere agnosticism, although atheists retort that everyone is an atheist about most gods, so they merely advance one step further. ^ "Atheism". OxfordDictionaries.com. Oxford University Press. Retrieved 23 April 2017. ^ "Definitions: Atheism". Department of Religious Studies, University of Alabama. Retrieved 1 December 2012. ^ Smart, J.J.C. Zalta, Edward N. (ed.). "Atheism and Agnosticism". The Stanford Encyclopedia of Philosophy (Spring 2013 Edition). ^ a b Drachmann, A.B. (1977) . Atheism in Pagan Antiquity. Chicago: Ares Publishers. ISBN 978-0-89005-201-3. Atheism and atheist are words formed from Greek roots and with Greek derivative endings. Nevertheless they are not Greek; their formation is not consonant with Greek usage. In Greek they said átheos and atheotēs; to these the English words ungodly and ungodliness correspond rather closely. In exactly the same way as ungodly, átheos was used as an expression of severe censure and moral condemnation; this use is an old one, and the oldest that can be traced. Not till later do we find it employed to denote a certain philosophical creed. ^ a b Wootton, David (1992). "1. New Histories of Atheism". In Hunter, Michael; Wootton, David (eds.). Atheism from the Reformation to the Enlightenment. Oxford: Clarendon Press. ISBN 978-0-19-822736-6. ^ a b c Various authors. "Logical Arguments for Atheism". The Secular Web Library. Internet Infidels. Retrieved 2 October 2012. ^ Shook, John R. "Skepticism about the Supernatural" (PDF). Retrieved 2 October 2012. ^ a b Drange, Theodore M. (1996). "The Arguments From Evil and Nonbelief". Secular Web Library. Internet Infidels. Retrieved 2 October 2012. ^ Stenger 2007, pp. 17–18, citing Parsons, Keith M. (1989). God and the Burden of Proof: Plantinga, Swinburne, and the Analytical Defense of Theism. Amherst, New York: Prometheus Books. ISBN 978-0-87975-551-5. ^ Fales, Evan. Naturalism and Physicalism, in Martin 2006, pp. 122–131. ^ Zuckerman, Phil (2007). Martin, Michael T (ed.). The Cambridge Companion to Atheism. Cambridge: Cambridge University Press. p. 56. ISBN 978-0-521-60367-6. OL 22379448M. Retrieved 9 April 2011. ^ "Religiosity and Atheism Index" (PDF). Zurich: WIN/GIA. 27 July 2012. Archived from the original (PDF) on 21 October 2013. Retrieved 1 October 2013. ^ a b "New Survey Shows the World's Most and Least Religious Places". NPR. 13 April 2015. Retrieved 29 April 2015. ^ a b "Wayback Machine" (PDF). 14 November 2017. Archived from the original (PDF) on 14 November 2017. Retrieved 27 February 2018. ^ Keysar, Ariela; Navarro-Rivera, Juhem (2017). "36. A World of Atheism: Global Demographics". In Bullivant, Stephen; Ruse, Michael (eds.). The Oxford Handbook of Atheism. Oxford University Press. ISBN 978-0-19-964465-0. ^ "UK among most secular nations". BBC News. 26 February 2004. Retrieved 14 January 2015. ^ "Worldwide Adherents of All Religions by Six Continental Areas, Mid-2007". Encyclopædia Britannica. 2007. Retrieved 21 November 2013. ^ "Gallup International Religiosity Index" (PDF). Washington Post. WIN-Gallup International. April 2015. ^ a b Social values, Science and Technology (PDF). Directorate General Research, European Union. 2010. p. 207. Archived from the original (PDF) on 30 April 2011. Retrieved 9 April 2011. ^ Chisholm, Hugh, ed. (1911). "Atheism" . Encyclopædia Britannica (11th ed.). Cambridge University Press. The term as generally used, however, is highly ambiguous. 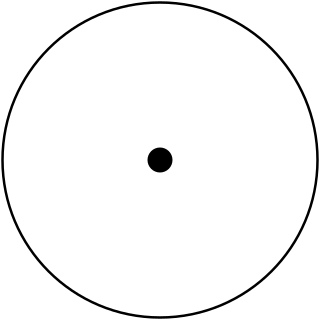 Its meaning varies (a) according to the various definitions of deity, and especially (b) according as it is (i.) deliberately adopted by a thinker as a description of his own theological standpoint, or (ii.) applied by one set of thinkers to their opponents. As to (a), it is obvious that atheism from the standpoint of the Christian is a very different conception as compared with atheism as understood by a Deist, a Positivist, a follower of Euhemerus or Herbert Spencer, or a Buddhist. ^ Holland, Aaron. Agnosticism, in Flynn 2007, p. 34: "It is important to note that this interpretation of agnosticism is compatible with theism or atheism, since it is only asserted that knowledge of God's existence is unattainable." ^ Besant, Annie. Why Should Atheists Be Persecuted?. in Bradlaugh et al. 1884, pp. 185–186]: "The Atheist waits for proof of God. Till that proof comes he remains, as his name implies, without God. His mind is open to every new truth, after it has passed the warder Reason at the gate." ^ Holyoake, George Jacob (1842). "Mr. Mackintosh's New God". The Oracle of Reason, Or, Philosophy Vindicated. 1 (23): 186. On the contrary, I, as an Atheist, simply profess that I do not see sufficient reason to believe that there is a god. I do not pretend to know that there is no god. The whole question of god's existence, belief or disbelief, a question of probability or of improbability, not knowledge. ^ "Atheism". Encyclopædia Britannica Concise. Merriam Webster. Retrieved 15 December 2011. Critique and denial of metaphysical beliefs in God or divine beings. Unlike agnosticism, which leaves open the question of whether there is a God, atheism is a positive denial. It is rooted in an array of philosophical systems. ^ Chisholm, Hugh, ed. (1911). "Atheism" . Encyclopædia Britannica (11th ed.). Cambridge University Press. But dogmatic atheism is rare compared with the sceptical type, which is identical with agnosticism in so far as it denies the capacity of the mind of man to form any conception of God, but is different from it in so far as the agnostic merely holds his judgment in suspense, though, in practice, agnosticism is apt to result in an attitude towards religion which is hardly distinguishable from a passive and unaggressive atheism. ^ "Atheism as rejection of religious beliefs". Encyclopædia Britannica. 1 (15th ed.). 2011. p. 666. 0852294735. Archived from the original on 12 May 2011. Retrieved 9 April 2011. ^ d'Holbach, P.H.T. (1772). Good Sense. Retrieved 7 April 2011. ^ Maritain, Jacques (July 1949). "On the Meaning of Contemporary Atheism". The Review of Politics. 11 (3): 267–280. doi:10.1017/S0034670500044168. Archived from the original on 13 November 2005. ^ a b Kenny, Anthony (2006). "Why I Am Not an Atheist". What I believe. Continuum. ISBN 978-0-8264-8971-5. The true default position is neither theism nor atheism, but agnosticism ... a claim to knowledge needs to be substantiated; ignorance need only be confessed. ^ "Why I'm Not an Atheist: The Case for Agnosticism". Huffington Post. 28 May 2013. Retrieved 26 November 2013. ^ O'Brien, Breda (7 July 2009). "Many atheists I know would be certain of a high place in heaven". Irish Times. Archived from the original on 20 May 2011. Retrieved 9 April 2011. ^ Warner, Matthew (8 June 2012). "More faith to be an atheist than a Christian". Retrieved 26 November 2013. ^ a b Smart, J.C.C. (9 March 2004). "Atheism and Agnosticism". Stanford Encyclopedia of Philosophy. Retrieved 9 April 2011. ^ See, for example: Pressley, Sue Anne (8 September 1996). "Atheist Group Moves Ahead Without O'Hair". The Washington Post. Retrieved 22 October 2014. ^ Lowder, Jeffery Jay (1997). "Atheism and Society". Archived from the original on 22 May 2011. Retrieved 9 April 2011. ^ a b Zdybicka 2005, p. 20. ^ Ayer, A. J. (1946). Language, Truth and Logic. Dover. pp. 115–116. In a footnote, Ayer attributes this view to "Professor H.H. Price". ^ V.A. 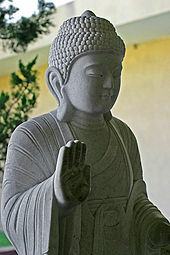 Gunasekara, "The Buddhist Attitude to God". Archived from the original on 2 January 2008. In the Bhuridatta Jataka, "The Buddha argues that the three most commonly given attributes of God, viz. omnipotence, omniscience and benevolence towards humanity cannot all be mutually compatible with the existential fact of dukkha." 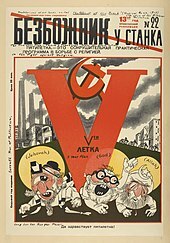 ^ Bakunin, Michael (1916). "God and the State". New York: Mother Earth Publishing Association. Archived from the original on 21 May 2011. Retrieved 9 April 2011. ^ The Raelian Foundation (2005). Intelligent Design. p. 312. ^ Johnson, Philip; et al. (2005). Claydon, David; et al. (eds.). Religious and Non-Religious Spirituality in the Western World ("New Age"). A New Vision, A New Heart, A Renewed Call. 2. William Carey Library. p. 194. ISBN 978-0-87808-364-0. Although Neo-Pagans share common commitments to nature and spirit there is a diversity of beliefs and practices ... Some are atheists, others are polytheists (several gods exist), some are pantheists (all is God) and others are panentheists (all is in God). ^ Chakravarti, Sitansu (1991). Hinduism, a way of life. Motilal Banarsidass. p. 65. ISBN 978-81-208-0899-7. For the thoroughgoing atheist, the path is extremely difficult, if not lonely, for he can not develop any relationship of love with God, nor can he expect any divine help on the long and arduous journey. ^ Pattanaik, Devdutt (18 August 2009). "63 worthy beings". Mid-day. Archived from the original on 27 September 2012. Retrieved 15 July 2014. ^ Kedar, Nath Tiwari (1997). Comparative Religion. Motilal Banarsidass. p. 50. ISBN 978-81-208-0293-3. ^ Jacobs, Jonathan D. (2015). "7. The Ineffable, Inconceivable, and Incomprehensible God. Fundamentality and Apophatic Theology". In Kvanvig, Jonathan (ed.). Oxford Studies in Philosophy of Religion. Volume 6. Oxford University Press. p. 168. ISBN 978-0-19-872233-5. ^ Fagenblat, Michael, ed. (2017). Negative Theology as Jewish Modernity. Bloomington, Indiana: Indiana University Press. p. 3. ISBN 978-0-253-02504-3. ^ Bryson, Michael E. (2016). The Atheist Milton. Abingdon-on-Thames: Routledge. p. 114. ISBN 978-1-317-04095-8. ^ Gleeson, David (10 August 2006). "Common Misconceptions About Atheists and Atheism". Retrieved 21 November 2013. ^ a b Zuckerman, Phil (2009). "Atheism, Secularity, and Well-Being: How the Findings of Social Science Counter Negative Stereotypes and Assumptions" (PDF). Sociology Compass. 3 (6): 949–971. doi:10.1111/j.1751-9020.2009.00247.x. ^ "Societies without God are more benevolent". The Guardian. 2 September 2010. Retrieved 21 November 2013. ^ Wallace, B. Alan Ph.D. (November 1999). "Is Buddhism Really Non-Theistic?" (PDF). National Conference of the American Academy of Religion lectures. Boston. p. 8. Archived from the original (PDF) on 4 March 2016. Retrieved 22 July 2014. "Thus, in light of the theoretical progression from the bhavaºga to the tath›gatagarbha to the primordial wisdom of the absolute space of reality, Buddhism is not so simply non-theistic as it may appear at first glance." ^ "Humanistic Judaism". BBC. 20 July 2006. Archived from the original on 16 April 2011. Retrieved 9 April 2011. ^ Levin, S. (May 1995). "Jewish Atheism". New Humanist. 110 (2): 13–15. ^ "Christian Atheism". BBC. 17 May 2006. Retrieved 9 April 2011. ^ Altizer, Thomas J.J. (1967). The Gospel of Christian Atheism. London: Collins. pp. 102–103. Archived from the original on 29 September 2006. Retrieved 9 April 2011. ^ Chakravarti, Sitansu (1991). Hinduism, a way of life. Motilal Banarsidass Publ. p. 71. ISBN 978-81-208-0899-7. Retrieved 9 April 2011. According to Hinduism, the path of the atheist is very difficult to follow in matters of spirituality, though it is a valid one. ^ Smith 1979, p. 275. "Among the many myths associated with religion, none is more widespread [sic] – or more disastrous in its effects — than the myth that moral values cannot be divorced from the belief in a god." ^ Human Rights, Virtue, and the Common Good. Rowman & Littlefield. 1996. ISBN 978-0-8476-8279-9. Retrieved 9 April 2011. That problem was brought home to us with dazzling clarity by Nietzsche, who had reflected more deeply than any of his contemporaries on the implications of godlessness and come to the conclusion that a fatal contradiction lay at the heart of modern theological enterprise: it thought that Christian morality, which it wished to preserve, was independent of Christian dogma, which it rejected. This, in Nietzsche's mind, was an absurdity. It amounted to nothing less than dismissing the architect while trying to keep the building or getting rid of the lawgiver while claiming the protection of the law. ^ The Blackwell Companion to Natural Theology. Wiley-Blackwell. 11 May 2009. ISBN 978-1-4051-7657-6. Retrieved 9 April 2011. Morality "has truth only if God is truth–it stands or falls with faith in God" (Nietzsche 1968, p. 70). The moral argument for the existence of God essentially takes Nietzsche's assertion as one of its premises: if there is no God, then "there are altogether no moral facts". ^ Victorian Subjects. Duke University Press. 1991. ISBN 978-0-8223-1110-2. Retrieved 9 April 2011. Like other mid-nineteenth-century writers, George Eliot was not fully aware of the implications of her humanism, and, as Nietzsche saw, attempted the difficult task of upholding the Christian morality of altruism without faith in the Christian God. ^ Moore, G.E. (1903). Principia Ethica. Archived from the original on 14 May 2011. Retrieved 9 April 2011. ^ Susan Neiman (6 November 2006). Beyond Belief Session 6 (Conference). Salk Institute, La Jolla, California: The Science Network. ^ See for example: Kahoe, R.D. (June 1977). "Intrinsic Religion and Authoritarianism: A Differentiated Relationship". Journal for the Scientific Study of Religion. 16 (2): 179–182. doi:10.2307/1385749. JSTOR 1385749. Also see: Altemeyer, Bob; Hunsberger, Bruce (1992). "Authoritarianism, Religious Fundamentalism, Quest, and Prejudice". International Journal for the Psychology of Religion. 2 (2): 113–133. doi:10.1207/s15327582ijpr0202_5. ^ Harris, Sam (2005). "An Atheist Manifesto". Truthdig. Archived from the original on 16 May 2011. Retrieved 9 April 2011. In a world riven by ignorance, only the atheist refuses to deny the obvious: Religious faith promotes human violence to an astonishing degree. ^ D'Souza, Dinesh. "Answering Atheist's Arguments". Catholic Education Resource Center. Retrieved 9 April 2011. ^ The word αθεοι—in any of its forms—appears nowhere else in the Septuagint or the New Testament. Robertson, A.T. (1960) . "Ephesians: Chapter 2". Word Pictures in the New Testament. Broadman Press. Retrieved 9 April 2011. Old Greek word, not in LXX, only here in N.T. Atheists in the original sense of being without God and also in the sense of hostility to God from failure to worship him. See Paul's words in Ro 1:18–32. ^ "atheist". American Heritage Dictionary of the English Language. 2009. Retrieved 21 November 2013. ^ Martiall, John (1566). A Replie to Mr Calfhills Blasphemous Answer Made Against the Treatise of the Cross. English recusant literature, 1558–1640. 203. Louvain. p. 49. ^ Rendered as Atheistes: Golding, Arthur (1571). The Psalmes of David and others, with J. Calvin's commentaries. pp. Ep. Ded. 3. The Atheistes which say..there is no God. Translated from Latin. ^ Hanmer, Meredith (1577). The auncient ecclesiasticall histories of the first six hundred years after Christ, written by Eusebius, Socrates, and Evagrius. London. p. 63. OCLC 55193813. The opinion which they conceaue of you, to be Atheists, or godlesse men. ^ a b Rendered as Athisme: de Mornay, Philippe (1581). A Woorke Concerning the Trewnesse of the Christian Religion: Against Atheists, Epicures, Paynims, Iewes, Mahumetists, and other infidels [De la vérite de la religion chréstienne (1581, Paris)]. Translated from French to English by Arthur Golding & Philip Sidney and published in London, 1587. Athisme, that is to say, vtter godlesnes. ^ Vergil, Polydore (c. 1534). English history. Retrieved 9 April 2011. Godd would not longe suffer this impietie, or rather atheonisme. ^ The Oxford English Dictionary also records an earlier, irregular formation, atheonism, dated from about 1534. The later and now obsolete words athean and atheal are dated to 1611 and 1612 respectively. prep. by J.A. Simpson ... (1989). The Oxford English Dictionary (Second ed.). Oxford University Press. ISBN 978-0-19-861186-8. ^ Bailey, Nathan (1675). An universal etymological English dictionary. ^ Pandian (1996). India, that is, sidd. Allied Publishers. p. 64. ISBN 978-81-7023-561-3. Retrieved 9 April 2011. ^ Dasgupta, Surendranath (1992). A history of Indian philosophy, Volume 1. Motilal Banarsidass. p. 258. ISBN 978-81-208-0412-8. ^ a b c d e f g h i j Burkert, Walter (1985). Greek Religion. Cambridge, Massachusetts: Harvard University Press. pp. 311–317. ISBN 978-0-674-36281-9. ^ a b c d e f Mulsow, Martin (2010). "Atheism". In Grafton, Anthony; Most, Glenn W.; Settis, Salvatore (eds.). The Classical Tradition. Cambridge, Massachusetts and London: The Belknap Press of Harvard University Press. pp. 96–97. ISBN 978-0-674-03572-0. ^ a b c d e f g h Winiarczyk, Marek (2016). Diagoras of Melos: A Contribution to the History of Ancient Atheism. Translated by Zbirohowski-Kościa, Witold. Berlin: Walther de Gruyter. pp. 61–68. ISBN 978-3-11-044765-1. ^ Solmsen, Friedrich (1942). Plato's Theology. Cornell University Press. p. 25. ^ Woodruff, P.; Smith, N.D. (2000). Reason and Religion in Socratic Philosophy. Oxford: Oxford University Press. ISBN 978-0-19-535092-0. ^ a b c d "Epicurus (Stanford Encyclopedia of Philosophy)". Plato.stanford.edu. Retrieved 10 November 2013. ^ Hickson, Michael W. (2014). "A Brief History of Problems of Evil". In McBrayer, Justin P.; Howard-Snyder, Daniel (eds.). The Blackwell Companion to The Problem of Evil. Hoboken, New Jersey: Wiley-Blackwell. pp. 26–27. ISBN 978-1-118-60797-8. ^ a b Stein, Gordon (Ed.) (1980). "The History of Freethought and Atheism Archived 30 September 2007 at the Wayback Machine". An Anthology of Atheism and Rationalism. New York: Prometheus. Retrieved 2007-APR-03. ^ Herbermann, Charles, ed. (1913). "Atheism" . Catholic Encyclopedia. New York: Robert Appleton Company. ^ a b Maycock, A.L. and Ronald Knox (2003). Inquisition from Its Establishment to the Great Schism: An Introductory Study. ISBN 0-7661-7290-2. ^ Freethought Traditions in the Islamic World Archived 14 February 2012 at the Wayback Machine by Fred Whitehead; also quoted in Cyril Glasse, (2001), The New Encyclopedia of Islam, p. 278. Rowman Altamira. ^ "Online Etymology Dictionary". Retrieved 26 November 2013. ^ "Michel Onfray on Jean Meslier". William Paterson University. Retrieved 4 November 2011. ^ d'Holbach, P.H.T. (1770). The System of Nature. 2. Retrieved 7 April 2011. ^ "Reflections on the Revolution in France". adelaide.edu.au. ^ Ray, Matthew Alun (2003). Subjectivity and Irreligion: Atheism and Agnosticism in Kant, Schopenhauer, and Nietzsche. Ashgate Publishing, Ltd. ISBN 978-0-7546-3456-0. Retrieved 9 April 2011. ^ Law, Stephen (2011). Humanism. A Very Short Introduction. Oxford University Press. p. 23. ISBN 978-0-19-955364-8. 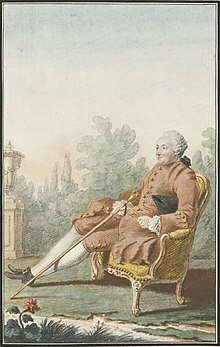 ^ Holyoake, G.J. (1896). The Origin and Nature of Secularism. Showing that where Freethought Commonly Ends Secularism Begins. London: Watts. pp. 41ff. ^ "White Paper—Freedom of Religious Belief in China". Embassy of the People's Republic of China in the United States of America. October 1997. Retrieved 5 September 2007. ^ "International Religious Freedom Report 2007 — China (includes Tibet, Hong Kong, and Macau)". U.S.Department of State. 2007. Retrieved 2 October 2007. ^ Madsen, Richard (2014). "Religion Under Communism". In Smith, S.A. (ed.). The Oxford Handbook of the History of Communism. Oxford University Press. p. 588. ISBN 978-0-19-960205-6. ^ Blackford, R.; Schüklenk, U. (2013). "Myth 27 Many Atrocities Have Been Committed in the Name of Atheism". 50 great myths about atheism. John Wiley & Sons. p. 88. ISBN 978-0-470-67404-8. ^ Michael, S.M. (1999). "Dalit Visions of a Just Society". In Michael, S. M. (ed.). Untouchable: Dalits in Modern India. Lynne Rienner Publishers. pp. 31–33. ISBN 978-1-55587-697-5. ^ Martin, Douglas (26 August 2006). "Vashti McCollum, 93, Plaintiff In a Landmark Religion Suit – Obituary". New York Times. Retrieved 10 November 2013. ^ Jurinski, James (2004). Religion on Trial. Walnut Creek, California: AltraMira Press. p. 48. ISBN 978-0-7591-0601-7. Retrieved 23 July 2009. ^ Time Magazine cover online. 8 April 1966. Retrieved 2013-11-21. ^ "Toward a Hidden God". Time Magazine online. 8 April 1966. Retrieved 2007-04-17. ^ Erickson, Doug (25 February 2010). "The atheists' calling the Madison-based Freedom From Religion Foundation is taking its latest battle to the U.S. Supreme court. It's a milestone for the often-vilified but financially strong group, which has seen its membership grow to an all-time high". Wisconsin State Journal. Retrieved 30 June 2013. ^ Erickson, Doug (25 February 2007). "The Atheists' Calling". Wisconsin State Journal. Retrieved 21 November 2013. ^ Paul, Gregory; Zuckerman, Phil (2007). "Why the Gods Are Not Winning". Edge. 209. Retrieved 9 April 2011. ^ "Women in Secularism". Archived from the original on 30 July 2013. Retrieved 21 November 2013. ^ "Secular Woman:About". Archived from the original on 21 November 2013. Retrieved 21 November 2013. ^ "A Timeline of the Sexual Harassment Accusations". Retrieved 21 November 2013. ^ "Blaghag: Atheism+". Retrieved 21 November 2013. ^ "How I unwittingly infiltrated the boys club, why it's time for a new wave of atheism". Retrieved 21 November 2013. ^ "About Atheism+". Archived from the original on 22 August 2013. Retrieved 21 November 2013. ^ "First atheist monument on government property unveiled". Alligator News. Retrieved 21 November 2013. ^ "Atheists unveil monument in Florida and promise to build 50 more". Retrieved 21 November 2013. ^ Hooper, Simon. "The rise of the New Atheists". CNN. Archived from the original on 8 April 2010. Retrieved 16 March 2010. ^ Gribbin, Alice (22 December 2011). 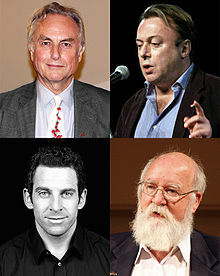 "Preview: The Four Horsemen of New Atheism reunited". New Statesman. Retrieved 13 February 2012. ^ Garfield, Alan E. "Finding Shared Values in a Diverse Society: Lessons From the Intelligent Design Controversy" (PDF). Vermont Law Review. 33 Book 2. Archived from the original (PDF) on 7 December 2013. Retrieved 21 November 2013. ^ "Major Religions of the World Ranked by Number of Adherents, Section on accuracy of non-Religious Demographic Data". Archived from the original on 22 April 2011. Retrieved 9 April 2011. ^ Huxley, Andrew (2002). Religion, Law and Tradition: Comparative Studies in Religious Law. Routledge. p. 120. ISBN 978-0-7007-1689-0. OL 7763963M. Retrieved 9 April 2011. ^ a b "Religion: Year in Review 2010: Worldwide Adherents of All Religions". Encyclopædia Britannica Online. Encyclopædia Britannica Inc. Retrieved 21 November 2013. ^ Joas, Hans; Wiegandt, Klaus, eds. (2010). Secularization and the World Religions. Liverpool University Press. p. 122 (footnote 1). ISBN 978-1-84631-187-1. OL 25285702M. Retrieved 18 April 2012. ^ "WIN-Gallup International "Religiosity and Atheism Index" reveals atheists are a small minority in the early years of 21st century". 6 August 2012. Archived from the original on 25 August 2012. Retrieved 28 August 2012. ^ "Global Index of Religion and Atheism" (PDF). Gallup – Red C. Archived from the original (PDF) on 16 October 2012. 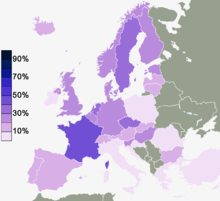 ^ "Special Eurobarometer: Biotechnology" (PDF). October 2010. p. 381. Archived from the original (PDF) on 15 December 2010. ^ "Discrimination in the EU in 2012" (PDF), Special Eurobarometer, 383, European Union: European Commission, p. 233, 2012, archived from the original (PDF) on 2 December 2012, retrieved 14 August 2013 The question asked was "Do you consider yourself to be...? ", with a card showing: Catholic, Orthodox, Protestant, Other Christian, Jewish, Muslim, Sikh, Buddhist, Hindu, Atheist, and non-believer/agnostic. Space was given for Other (Spontaneous) and DK. Jewish, Sikh, Buddhist, Hindu did not reach the 1% threshold. ^ a b c "Religiously Unaffiliated". Pew Research Center's Religion & Public Life Project. 18 December 2012. ^ "Religion In Australia". Australian Bureau of Statistics. 27 June 2017. Retrieved 27 June 2017. ^ a b "WVS Database". World Values Survey. Institute for Comparative Survey Research. March 2015. ^ Hout, Michael; Smith, Tom (March 2015). "Fewer Americans Affiliate with Organized Religions, Belief and Practice Unchanged: Key Findings from the 2014 General Social Survey" (PDF). General Social Survey. NORC. ^ "'Nones' are now the biggest religious group in the US – with families torn on priorities". www.christiantoday.com. Retrieved 6 December 2017. ^ "DN American Family Survey 2017". DeseretNews.com. Retrieved 6 December 2017. ^ "America's Changing Religious Identity". PRRI. Retrieved 16 December 2017. ^ a b c "The rise of Arab atheism". Retrieved 8 February 2016. ^ Lynn, Richard; Harvey, John; Nyborg, Helmuth (2009). "Average intelligence predicts atheism rates across 137 nations". Intelligence. 37: 11–15. doi:10.1016/j.intell.2008.03.004. Retrieved 25 May 2015. ^ Barber, Nigel (4 May 2010). "The Real Reason Atheists Have Higher IQs: Is Atheism a Sign of Intelligence?". Psychology Today. ^ Daws, Richard E.; Hampshire, Adam (19 December 2017). "The Negative Relationship between Reasoning and Religiosity Is Underpinned by a Bias for Intuitive Responses Specifically When Intuition and Logic Are in Conflict". Frontiers in Psychology. 8: 2191. doi:10.3389/fpsyg.2017.02191. PMC 5742220. PMID 29312057. ^ Carey, Benedict (7 August 2017). "The Serial Killer Test: Biases Against Atheists Emerge in Study". The New York Times. Retrieved 23 January 2018. ^ Paris, Agence France-Presse in (7 August 2017). "Atheists tend to be seen as immoral – even by other atheists: study". the Guardian. Retrieved 23 January 2018. ^ Gervais, Will M.; Xygalatas, Dimitris; McKay, Ryan T.; van Elk, Michiel; Buchtel, Emma E.; Aveyard, Mark; Schiavone, Sarah R.; Dar-Nimrod, Ilan; Svedholm-Häkkinen, Annika M.; Riekki, Tapani; Klocová, Eva Kundtová; Ramsay, Jonathan E.; Bulbulia, Joseph (7 August 2017). "Global evidence of extreme intuitive moral prejudice against atheists" (Submitted manuscript). Nature Human Behaviour. 1 (8): 0151. doi:10.1038/s41562-017-0151. ^ "10 facts about atheists". Pew Research Center. 1 June 2016. Retrieved 23 January 2018. Baggini, Julian (2003). Atheism: A Very Short Introduction. Oxford University Press. ISBN 978-0-19-280424-2. Bradlaugh, Charles; Besant, Annie; Bradlaugh, Alice; Moss, A. B.; Cattell, C.C. ; Standring, G.; Aveling, E. (1884). The Atheistic Platform. London: Freethought Publishing. Dawkins, Richard (2006). The God Delusion. Bantam Press. ISBN 978-0-593-05548-9. Edwards, Paul (2005) . "Atheism". In Donald M. Borchert (ed.). The Encyclopedia of Philosophy. Vol. 1 (2nd ed.). MacMillan Reference US (Gale). p. 359. ISBN 978-0-02-865780-6. Harris, Sam (2005). The End of Faith: Religion, Terror, and the Future of Reason. W.W. Norton & Company. Hume, David (1779). Dialogues Concerning Natural Religion . London. OL 7145748M. Hume, David (1748). An Enquiry Concerning Human Understanding . London. Landsberg, Mitchell (28 September 2010). "Atheists, agnostics most knowledgeable about religion, survey says". Los Angeles Times. Archived from the original on 11 May 2011. Retrieved 8 April 2011. Martin, Michael (1990). Atheism: A Philosophical Justification. Philadelphia: Temple University Press. ISBN 978-0-87722-642-0. OL 8110936M. Archived from the original on 19 May 2011. Retrieved 9 April 2011. Martin, Michael, ed. (2006). The Cambridge Companion to Atheism. Cambridge: Cambridge University Press. ISBN 978-0-521-84270-9. OL 22379448M. Retrieved 25 November 2013. Nielsen, Kai (2013). "Atheism". Encyclopædia Britannica. Retrieved 25 November 2013. Oppy, Graham (2018). Atheism and Agnosticism. Cambridge University Press. ISBN 978-1-108-55534-0. Rowe, William L. (1998). "Atheism". In Edward Craig (ed.). Routledge Encyclopedia of Philosophy. Taylor & Francis. ISBN 978-0-415-07310-3. Retrieved 9 April 2011. Sartre, Jean-Paul (2001) . "Existentialism and Humanism". In Priest, Stephen (ed.). Jean-Paul Sartre: Basic Writings. London: Routledge. p. 45. ISBN 978-0-415-21367-7. Sartre, Jean-Paul (2004) . "An existentialist ethics". In Gensler, Harry J.; Spurgin, Earl W.; Swindal, James C. (eds.). Ethics: Contemporary Readings. London: Routledge. p. 127. ISBN 978-0-415-25680-3. Smith, George H. (1979). Atheism: The Case Against God. Buffalo, New York: Prometheus Books. ISBN 978-0-87975-124-1. LCCN 79002726. OL 4401616M. Stenger, Victor J. (22 September 2009). The New Atheism: Taking a Stand for Science and Reason. Prometheus. ISBN 978-1-59102-751-5. Archived from the original on 11 October 2012. Retrieved 23 July 2009. Zdybicka, Zofia J. (2005). "Atheism" (PDF). In Maryniarczyk, Andrzej (ed.). Universal Encyclopedia of Philosophy. 1. Polish Thomas Aquinas Association. Retrieved 9 April 2011. Berman, David (1990). A History of Atheism in Britain: From Hobbes to Russell. London: Routledge. ISBN 978-0-415-04727-2. Bullivant, Stephen; Ruse, Michael, eds. (2013). The Oxford Handbook of Atheism. Oxford UP. ISBN 978-0-19-964465-0. Flew, Antony (2005). God and Philosophy. Prometheus Books. ISBN 978-1-59102-330-2. Germani, Alan (15 September 2008). "The Mystical Ethics of the New Atheists". The Objective Standard. 3 (3). Archived from the original on 28 April 2011. Retrieved 9 April 2011. Harbour, Daniel (2003). An Intelligent Person's Guide to Atheism. London: Duckworth. ISBN 978-0-7156-3229-1. Harris, Sam (2 October 2007). "The Problem with Atheism". The Washington Post. Archived from the original on 24 May 2011. Retrieved 9 April 2011. Le Poidevin, R. (1996). Arguing for Atheism: An Introduction to the Philosophy of Religion. London: Routledge. ISBN 978-0-415-09338-5. Mackie, J.L. (1982). The Miracle of Theism: Arguments For and Against the Existence of God. Oxford University Press. ISBN 978-0-19-824682-4. Maritain, Jacques (1952). The Range of Reason. London: Geoffrey Bles. Archived from the original on 7 April 2013. Retrieved 15 April 2013. Martin, Michael (1990). Atheism. A Philosophical Justification. Philadelphia: Temple University Press. ISBN 978-0-87722-943-8. Nielsen, Kai (1985). Philosophy and Atheism. New York: Prometheus. ISBN 978-0-87975-289-7. Onfray, Michel (2007). Atheist Manifesto. New York: Arcade Publishing. ISBN 978-1-55970-820-3. Archived from the original on 30 October 2015. Retrieved 9 April 2011. Oppy, Graham (2006). Arguing about Gods. Cambridge University Press. ISBN 978-0-521-86386-5. Robinson, Richard (1964). An Atheist's Values. Oxford: Clarendon Press. ISBN 978-0-19-824191-1. Archived from the original on 25 April 2011. Retrieved 9 April 2011. Russell, Paul (2013). "Hume on Religion". In Edward N. Zalta (ed.). Stanford Encyclopedia of Philosophy. Metaphysics Research Lab. Retrieved 24 November 2013. Shermer, Michael (1999). How We Believe: Science, Skepticism, and the Search for God. New York: William H Freeman. ISBN 978-0-7167-3561-8. Interview with philosopher John Gray on types of atheism. Theism is broadly defined as the belief in the existence of the Supreme Being or deities. In common parlance, or when contrasted with deism, the term often describes the classical conception of God that is found in monotheism – or gods found in polytheistic religions—a belief in God or in gods without the rejection of revelation as is characteristic of deism. Implicit atheism and explicit atheism are types of atheism. In George H. Smith's Atheism: The Case Against God, "implicit atheism" is defined as "the absence of theistic belief without a conscious rejection of it", while "explicit atheism" is "the absence of theistic belief due to a conscious rejection of it". Explicit atheists have considered the idea of deities and have rejected belief that any exist. Implicit atheists, though they do not themselves maintain a belief in a god or gods, have not rejected the notion or have not considered it further.